TAILORED TRIPS | Untamed Borders - Adventure travel..
Bespoke trips in Pakistan and Afghanistan for journalists, photographers and independent tourists are how Untamed Borders began and still make up the bulk of our work. We have an intimate knowledge of these countries and love to work on personalised itineraries. In the last few years we have arranged logistics for climbers to make first ascents in and documentary makers to film skiing in Afghanistan, cross border trips between India and Pakistan, cross border trips between Pakistan and Afghanistan and a rare visit to Pakistan Kashmir. We still work with journalists and have worked with students of international politics to give access to the players and the played of the border areas. 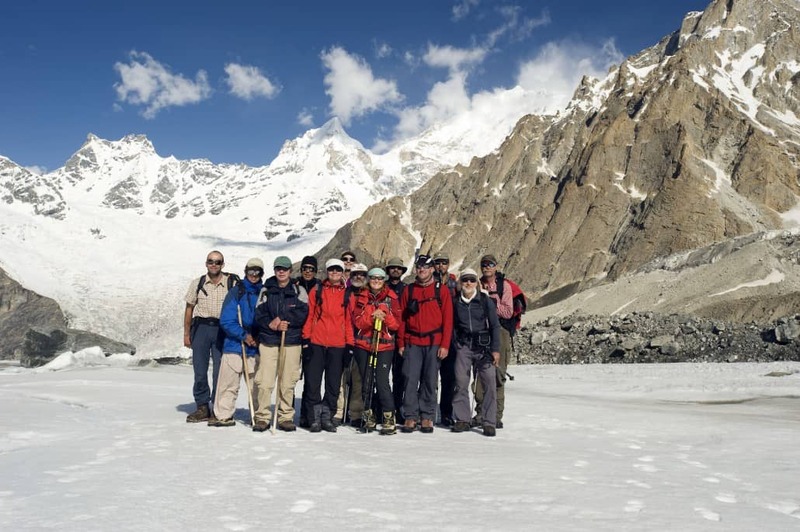 We also can arrange sports trips, trekking trips, skiing trips, cultural trips and combine any of these with any of the many Pakistani and Indian festivals. Untamed Borders began with Prince and Kausar taking journalists into the Tribal Areas of Pakistan and Burkha covered photographers into Afghanistan during the Taliban times. With the new governmental tagline of “Tourism not Terrorism” we are hoping that peace will prevail and our jobs will be based entirely on Tourism in the future. However, the reality is that the border areas between Afghanistan and Pakistan are world news and we still are able to take people into the tribal areas and arrange meetings and interviews with various players in these areas. Northern Pakistan is one of the worlds premier trekking areas. An area where the Himalayas, the Pamirs, the Karakorum and the Hindu Kush collide to produce some of the worlds highest mountains, longest glaciers and most stunning scenery. Unlike other Himalayan regions, the area has not been over run by tourists and only on a couple of the most popular routes will you meet anyone other than the odd shepherd. In the far North East of Afghanistan a finger of land sticks out dividing Pakistan from Tajikistan. This border anomaly was created by the British and Russian empires 100 years ago as they divided up central Asian between them. The valley is an unspoilt heaven for trekkers and climbers with only 100 or so tourists visiting a year. Cut off from the violence that engulfed the rest of Afghanistan it is an area where you can get out and stretch your legs with no danger of landmines or other ordinance. 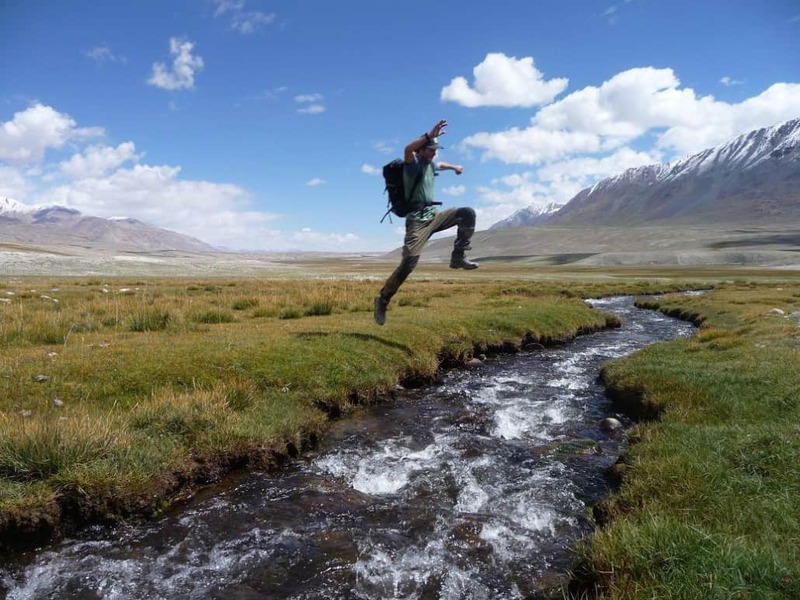 A trip to the Wakhan is a trip into the wild lands and friendly people of this area. The Pamir mountains in Tajikistan are considered one of the least know and least visited mountain ranges in the world. They boast the world’s largest glacier outside the Polar regions, the 77km long Fedchenko Glacier, and harbour three mountains taller than 7000m. 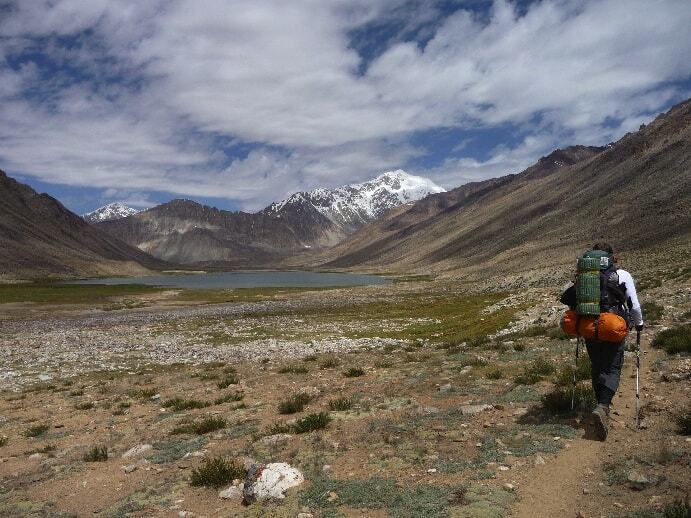 Shepherd trails connect the many Pamir valleys, making it even possible to do a full north to south traverse. And even at altitudes of over 4000m chances are you’ll be offered tea, bread and a bowl of yoghurt. 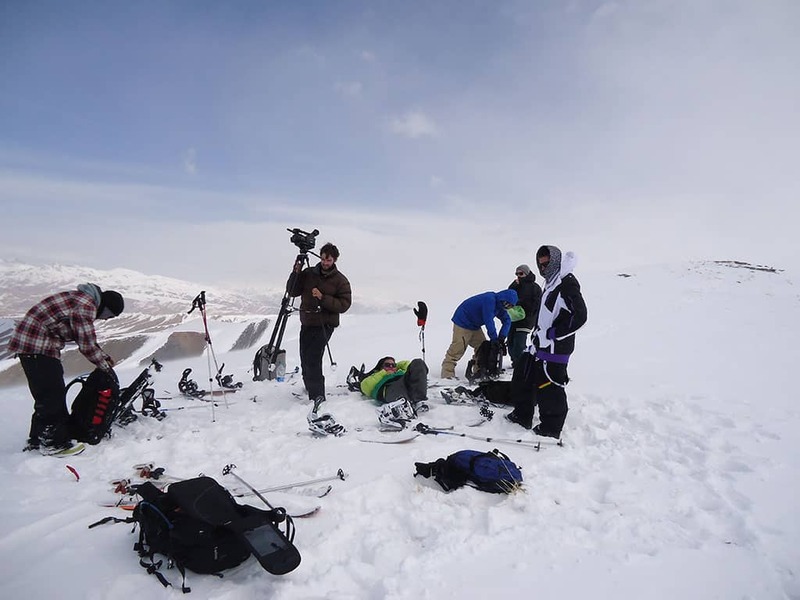 In 2011 Untamed Borders became the first company to run ski touring trips to Afghanistan. Please see our itineraries pages for future trips. If ski touring is not your thing then think about Pakistan. Malum Jabba is the countries premier/only ski resort. Apres ski is thin on the ground but how about combining it with the winter festival in the Kalash valleys. Slaughtering your own goat is optional!!! Please contact us for details on skiing in Pakistan. The polo played by the people of the Northern Areas of Pakistan is a little different to that played in the rest of the world. They call it frontier polo or freestyle polo and it is a much rougher game. Stick checking is allowed and the game is played without a referee. We offer a set itinerary to visit Pakistans most famous tournament on a 3800m high pass in the Hindu Kush but can arrange trips to co-incide with other games and tournaments across the region. We can also arrange horse treks across the mountain ranges climaxing with a visit to one of the high altitude polo tournaments. Frontier Polo is wild but Buzkashi is insane. This Afghan sport has been as described as a cross between polo and rugby but with a dead goat instead of a ball and we can’t really add too much more than that. 2 teams battle it out to pick up a dead goat tuck it under the saddle and ride to the oppositions end and drop the goat for a point. The other team try and grab the goat and take it to the other end. It is crazy stuff and desperately dangerous. There is no league or fixed competition as such and it is common to see an aging tribal chief incredibly being the star player as no-one will dishonor him by taking the goat from him. It is a winter game and our Afghan New Year trip will ensure that we catch a game or two. In the high Pamir that straddles the borders between Tajikistan, Afghanistan, Pakistan and China live the Wakhi people. Semi-nomadic they graze their herds of Yak and Dzo (cow/yak cross breeds) in the rolling valleys at great alititudes. Although good horsemen they have created their own special high altitude version of the sport of kings which uses Yaks as steeds: Yak Polo! Pakistanis and Indians are sports mad and Cricket is the major passion and the fact that Pakistan cannot host any International matches in the country at the moment is a blow to the fans. If you are keen to catch a game please contact us and we can give full listings of the national leagues. Also, we have arranged local games in Peshawar for visitors to compete in, should they wish to turn the arm over or face a few deliveries from the next Bam Bam Afridi. Afghanistan also has a competitive cricket team ans whilst it may not have the stars of its neighbours we can arrange trips to con-incide with matches. Balochistan is not high on the list when people think of tourist destinations but if you are thinking of coming to Pakistan in late February then a trip to Sibi “The hottest place in Pakistan” is a walk on the wild side. From the great frontier town of Quetta you can take a trip down one of the old invasion routes, the Bolan Pass to Sibi. The mela is the biggest event of the Baloch calendar and some people have travelled for weeks by camel to come here. People meet old friends, arrange marriages and compete for prizes for the best animals and vegetables. The town stadium puts on Buzkashi games, various exhibits of horsemanship and, when we were there in 2008, a 12 year old girl jumping over trucks on a 500cc motorbike. In the evening the towns cultural centre is packed to the rafters (literally, it has rafters and people sit on them) for the music mela. When artists from Karachi and Lahore come and raise the roof. Nau Ruz is the Persian New Year. The Persian calendar sees the spring equinox not the winter equinox as a time for new beginnings and Nau Ruz falls on 21st March each year. Nau Ruz is celebrated across much of Afghanistan and the very far North of Pakistan. It is a time when people head to the parks and gardens to relax with their families, picnic, fly kites or take a pilgrimage to holy places. The shrine of Hazrat Ali in Mazar e Sharif and the shrines of Balkh are especially busy at this time of year. 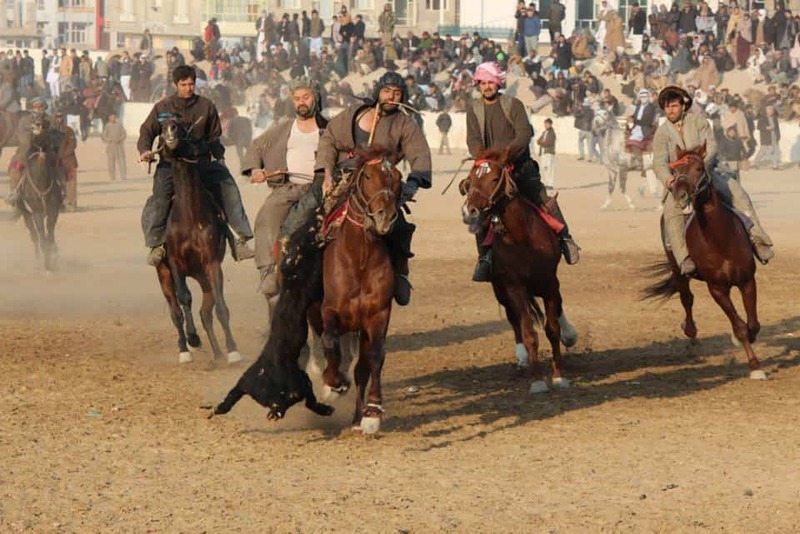 Each town and city will have its own celebrations and this is the best time of year to see traditional Afghan sports like Buzkashi and kite fighting. This is celebrated in Jalalabad on 13th April each year. Families picnic and listen to music under the shade of the orange trees and around shrines, both of which Jalalabad are rightly famous. In the middle of May the Kalasha celebrate Joshi. This festival celebrates the coming of Spring and the departure of the flocks and herds to the high pastures for summer grazing. It is a time to celebrate past harvests and make offerings to the gods for future harvests. Families meet and there is much dancing and drumming. This is the big summer event for both the Chitral and Gilgit valleys. 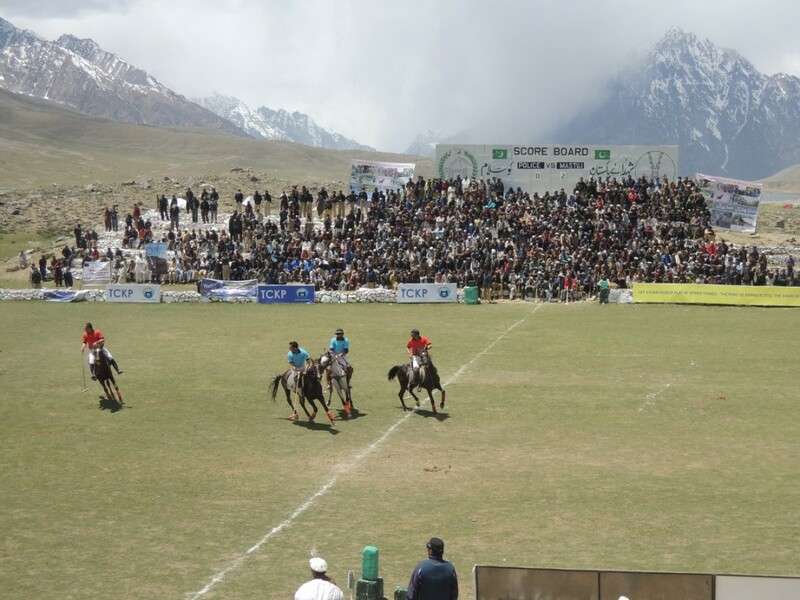 They each put forward 4 polo teams and meet at a specially built polo field at the 3800 meter high Shandur Pass that connects the two valleys. Supporters from both sides come and change a desolate mountain plain into a tented town for 3 days. When the games finish people flock to the tea tents, hike up the mountains for a birds eye view, walk around the large lake or join in one of the many impromptu cricket or football matches that spring up. In the evening fires are lit and music plays and people dance into the night. The polo itself is spectacular. The rules of freestyle polo mix brutality with finesse. Played with no referee. mallets break, balls fly, sticks crash into arms heads and many players end the game covered with bruises. The skill level of the best layers is exceptional and in combination with the wonderful mountain backdrop and the partisan yet friendly crowd we think this is one of Pakistan’s standout events and sees people come back year after year. A lesser known polo festival. This takes place at the Babasur pass that links Chilas in the Indus valley to the Kaghan valley. Until the Karakorum Highway was built the Babasur Pass was the main link between the plains and the far North of Pakistan. Like the Shandur festival the superb standard of polo and the high altitude mountain setting create a heady atmosphere. This is exactly the type of remote, obscure, wonderful event that Untamed Borders loves. Set in a 3000m+ mountain pass that links the Afghan Wakhan valley and Pakistan’s Chitral, the Boroghil festival is a celebration of the Wakhi people that live in this high corner of the world where Afghanistan, Pakistan, China and Tajikistan meet. The nearest jeep track is 2 days walk away but the setting in the high Pamir is stunning. Festival activities include Frontier Polo, Buzkashi and the rarely seen Yak Polo. The Wakhis have adapted polo for yaks who find their high altitude climate more appealing. Ramadan is not exactly a festival but the Islamic month of fasting is the most important date for most of Afghanistans and Pakistan population. Trips during this period create their own challenges and rewards. Ensuring we can get a meal and finding somewhere discrete to glug down a bottle of water in more conservative places is balanced by the chance to eat the break the fast meal of Iftar and witness first hand the act of faith it takes to go all day working in the sun without even a sip of water. This festival slowly builds up and celebrates the wheat and barley harvests in the Kalasha valleys. By mid August the crops are all in and the night dancing begins in earnest. This is the most visited of all the Kalasha festivals and is a great time of year to visit. Pakistan and India both came into being on midnight of the 14th August 1947 but in keeping with the relationship between the 2 countries they can’t even celebrate that fact on the same day. Pakistan celebrates their Independence on 14th and India on 15th August. In Pakistan this is a national holiday and people head to the parks for some good old fashioned fun and frivolity. Fun fairs with slightly suspicious safety standards are constructed, snacks are eaten and buildings and signs are illuminated. In September and October the Kalasha people pick and collect walnuts and make the wine for the rest of the year. In Birrir, the smallest of the valleys, they do not pick them straight away but wait until an allotted time when they suddenly pick away in a frenzy of activity. This is then followed by the Phool festival. In this and other valleys this is also the time that the grapes are pressed into wine. If you come with us then you will get the option of staining your feet red by helping make next years vintage. This is the most important festival in the Kalasha calendar. The winter equinox is celebrated with 2 weeks of festivities. The casks of wine are cracked open, goats are slaughtered liberally, feasting ensues and dancing goes on through the night. Very few outsiders are invited in to witness Chamous and of those even fewer brave the weather to get there but those that have tell tales of a surreal, pagan, snowbound, slightly drunken occasion. Pakistan and Afghanistan are the countries we know best but we have lots of friends in other countries in the region. We work with organizations and people in China, Iran, Iraq, Russia, Bhutan, Burma, The Caucasus and the Central Asian ex-soviet “Stans” and can arrange onward transport to these countries or a specially made Untamed Borders itinerary. As always these will be typical Untamed Borders trips taking in countries and regions when they are at their best or coinciding with cultural or local events to enhance your trip. Just get in touch.